As you all know, I took most of the month of July off, at least from blogging. However, I still managed, attended, and sold baked goods at the farmers' market. 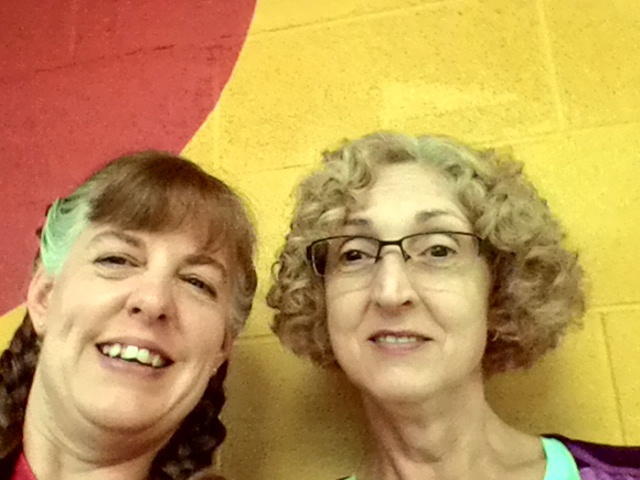 I took Emily to summer reading, swimming, bowling, and we went geo caching as a family. 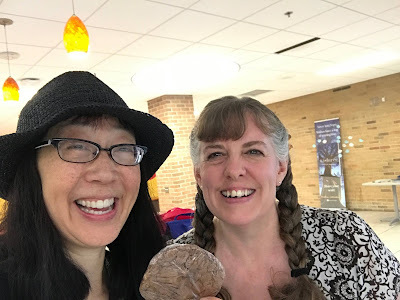 I attended Nerd Camp Michigan with my friend Deb Boerema where I presented. I met the fabulous Debbie Ohi whom I stalked ( I mean visited with) for two days, and she loved my chocolate cookies. I met Josh Funk and caught up with Joan Ami Paquet. I got lost in the halls with Kirby Larson, Met the adorable Emily Arrow, Met the oh so funny Chris Grabenstein, and caught up with friends, Kristin Tubb and Brooks Benjamin. I watched fireworks with my family. I attended my second Marvin Memorial Library Board of Trustees meeting where I was sworn in. I even got a notarized certificate (how cool is that). I also managed to get all five of my defunct books back on the market when I self published through Ingram Spark, and hosted a small backyard party for Emily. But the fun didn't end there. 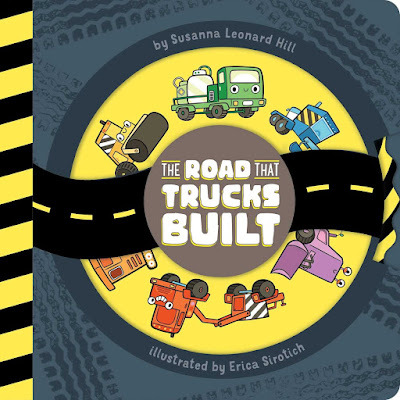 I received a picture book in the mail from Susanna Leonard Hill called The Road That Trucks Built. I received this book as a review copy, and my five year old nephew just happened to be visiting that day, so I read it to him. He loved turning the dial on the cover to see the different trucks, and he enjoyed the story. We both particularly liked the little worker birds throughout the illustrations. This book is beautifully told in rhyme and gives kids a basic idea of how a road gets built. I recommend this book for all kids ages three to six! I hope your summers have been going as splendidly a mine, even if it is going way too fast! This past week was a whirl of activity. I attended my first meeting as a Library Board of Trustee Member. Emily and I readied for Farmers' Market. I bowled with family and friends. Emily and I attended a summer reading program at the library. And, I baked another loaf of Italian Bread and several pies with the fresh black raspberries from our garden. 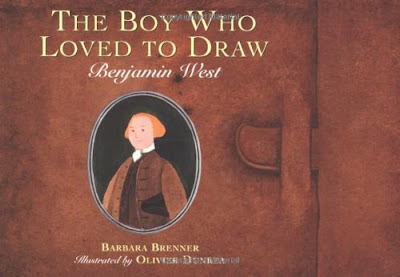 And while I didn't squeeze a picture book in this week, Emily read one for me titled The Boy Who Loved to Draw. I snagged this out of our library's biography section because Emily likes biographical picture books and she loves to draw much like, Benjamin West, the subject of the book. This book tells the story of how the first world famous American Artist came to be an artist. I love biographical picture books because they combine the beauty of picture books with a tinge of history. This book would be a perfect addition to home school curriculum as well as for kids like mine who just love biographies. This week I will be getting ready to attend Nerd Camp in Michigan with one of my besties, author Deborah Boerema. This, along with many other summer activities, has made me decide to take a few weeks break from blogging. But don't despair, I will be back some time in August!